Edinburgh’s Innis & Gunn specializes in oak-aged craft beer using a dual maturation method (a blend of both barrel-ageing and Oakerator). Just pick up a bottle of Innis & Gunn craft beer and you’ll immediate see the brewery is serious about communicating quality control. On each 330-ml bottle of the company’s Scottish brewed, oak-aged craft beer, the master brewer signs his name (which isn’t that unusual), but so does the manager who approved the bottling. The bottle also gives us the precise number of days this particular beer was “carefully matured prior to release,” as well as explains what types of barrels (rum, whiskey, etc.) were used for casking. Edinburgh’s Innis & Gunn specializes in oak-aged craft beer using a dual maturation method (a blend of both barrel-ageing and Oakerator), so quality control and brewing management overall is of particular importance due to the complexities of barrel-aging beer. We got a sense of this when we sat down with Rachel Sutherland, quality and sensory manager for Innis & Gunn, at the Craft Brewers Conference back in April. She was kind enough to share her insights in the Q&A below, discussing everything from quality control and barrel aging to beer judging and Scottish brewing techniques. CBB: Rachel, thanks so much for taking time out of your busy schedule to sit down with Craft Brewing Business. We know you’re here judging, marketing and networking, so we really appreciate your time. First off, maybe you can just tell us what a quality and sensory manager does. Sutherland: In a big business, they probably do very specific things, but in a small business, we wear a lot of different hats. Day to day my job is really monitoring the brewing as it’s happening. Just making sure our brew plans are there to meet our packaging plans, and that there are no issues with brewing the current beers. I’m not in the lab doing analysis, but I’m checking out the results, seeing that everything is happening as expected, organizing when things are going into cask, making sure everything is going to make its packaging parameters — things like that. Then there’s another role that goes along with seasonal beers and limited editions. A lot of businesses may spend a year working up those ideas, but sometimes we do them very quickly. Because we’re a small team, we can work very closely with the people from sales and marketing to make this happen — especially with [Master Brewer and Owner] Dougal Sharp. If we come up with a new idea, we may have to source some new ingredients or it’s a completely different beer style for us, so we need to find some casks. Luckily, we’ve got a strong team of people who really have distilling backgrounds, so we know a lot of distillers and cooperages, and it’s reaching out to those contacts to make things happen. That’s a big part of the job too. CBB: Quality control seems like a journey. Are you hoping to spearhead any new initiatives for Innis & Gunn in 2014? Rachel Sutherland, quality and sensory manager for Innis & Gunn. Sutherland: At the moment, we don’t have an in-house sensory panel, and that’s a big part of my background, so that’s a focus this year. It’s to train and develop an in-house panel. Right now, we rely on an expert panel at the brewery, but we want to have people in the marketing and sales teams do it as well, so they can better understand the beers, so when they’re out there talking to people they’re not just reading from a set script, so they can recognize problems and properly describe the flavors of the beers. 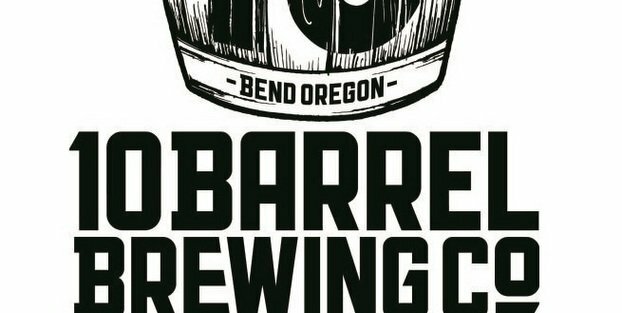 CBB: It seems like barrel aging and casking would present their own unique quality control problems when it comes to craft brewing. Sutherland: It does. When you’re putting anything into a cask, you need to make sure you’re not going to get any microbe problems. There’s obviously a big focus on cleanliness and CIP and the kinds of casks that we use, but we’ve also got people in there nosing the beers and doing micro-analysis. So yeah, lots of challenges — even planning — like when are we going to put things into cask. We don’t have a pilot brewing facility, so the skill of Dougal is a big part of it, and working with him on writing recipes. It’s also about figuring out how long this needs to be in a cask. Or if we’re using our Oakerators on just part of the beer or all of the beer, how long will we be percolating the beers? How long will it need to be maturing to get the flavors we’re trying to develop? CBB: If you’re looking for a quality control manager for your craft brewery, what skill sets do you think that job requires? What advice would you give to a brewery looking for the right person? Sutherland: I think it’s really about your focus and attention to detail. There are a lot of things that are just stored in my head. I can remember a lot of points. When coming at something like quality control, where you’re looking after a bunch of different parameters and watching a bunch of different beers, it’s about having that focus and attention to detail. Like with the beers we’re making — you can’t just forget to do something for two or three days. You really need to focus. You’re also not going to be able to work 9 to 5, Monday through Friday. There’s going to be that requirement to do something that’s out of your comfort zone. Come in on a Saturday to do some analysis or do some tastings with folks you might not know. It’s about having that flexibility that’s really important and also being able to go out and work with different people. While this is probably not an essential quality when you’re in a bigger brewery, certainly we find that we spend a lot of time going out and talking to people about beers, and it’s not like, well, because you’re in the quality department you’re behind the scenes. We want everyone in our company to be a brand ambassador, so we expect everyone in the company to talk about our beers, understand how they’re made and be happy to do that. CBB: You’re here, among other things, as a judge for the World Beer Cup. What advice would you give to our readers when it comes to judging beers in a competition and understanding how that judgment process works? Sutherland: I think it’s really important when you’re judging to have a good working knowledge of those beer styles. I think there are very big differences in understanding and in palates — definitely in palates. If someone tells you that an English IPA is meant to be a medium to high hop, go out there and taste English IPAs. Get an idea of what a medium to high hop on an English IPA is. Because if your point of reference is something that’s high for an English IPA, then when you got into a judging panel, you’re going to say, ‘There’s no hop in any of these beers,’ when for an English beer it might be absolutely fine. For an American beer or imperial style, it absolutely wouldn’t be. Knowing the beer styles is very important and having some understanding of off notes and the sources of off notes, so that you can know which ones are acceptable in beers styles and which ones are from when the brewer did not control the brewing process correctly. Those are the types of things that, when you’re judging, you really need to pick up and then mark down because you don’t want to say a beer is great when other people are experiencing an off note that has something to do with hygiene that you’re not picking up on. It’s also about going in there and being really subjective, but then being prepared to fight your battles. Sometimes you can be on a judging panel with several other people, and you think a beer is wonderful and everyone else is questioning whether the beer is or not. You can’t just shout them down. You need to move forward with a good argument. Sometimes it can be difficult. If you’ve not judged before and this is your first time, you think, ‘Maybe everyone knows better than me and maybe I should just go with the flow.’ But actually, everyone can be a great taster and anyone can pick up something that other people are missing. Maybe they just don’t understand the style correctly or maybe they’ve interpreted it differently, and then maybe you can put your case forward. Innis & Gunn prefers American oak barrels. Depending on the kind of toasting levels of oak, they work beautifully with malt-focused beer, a signature of Scottish ales. CBB: Are there any challenges with judging different beer styles? Many seem to be merging. Sutherland: Absolutely. The challenge is that the brewer can try and sneak in. So, you might say you’re brewing a Belgian Triple, but you know there’s going to be a lot of people submitting Belgian Triples, so you could enter into the category for Other Belgian Ales, which could mean it’s a triple, but maybe the color is slightly different or maybe the ABV is higher, so when you’re there judging you might be like, ‘This tastes just like a Belgian Triple, and I don’t understand why it’s in that category. What’s different about it?’ Luckily, they tell you what beer style it is, so you sit there with the style notes, so it will tell you what kind of aroma it has, what level of bitterness flavor, if it should be medium-bodied, if the alcohol levels are peachy. They don’t tell you anything about carbonation unless it’s really important for that style of beer, but you are armed with all that information. CBB: Tell us about Innis & Gunn. It’s a great Scottish craft beer — what should we know about it here in America? Sutherland: Innis & Gunn is an independent brewing company, and we are 10 years old. The company was founded by Dougal Sharp — our CEO, head brewer and owner, after a rather accidental discovery. In 2002, Dougal was asked to produce a beer to be used by [Scotch whiskey distillers] William Grant and Sons to mature in whiskey barrels before the beer was thrown away. The whiskey was seasoned in those casks to give it an ale finish. Dougal brewed a beer that he thought would work, and it was a very Scottish-style beer. I don’t know who it was, but one day someone decided to have a taste, and apparently lots of people started taking drinks of this elicit beer. Word got back to the distillery manager who called Dougal and said, ‘You really need to taste this beer. It’s fantastic.’ And that was basically how Innis & Gunn was born. Now we make a range of predominantly oak-aged beers, but we have experimented using lots of different wood — black cherry wood for instance. This year, we launched our first ever lager, so we brought out a beer that had no oak aging whatsoever. CBB: Why do you prefer oak casks? Sutherland: I think that the flavors we get especially from American oak work really nicely with malts, and the kind of toffee, vanilla, coconut flavors you’ll get. Depending on the toasting levels of oak, they just work beautifully with malted barley. We brew beers that are a little more alcoholic than your standard U.K. beers, but they have a wonderful bittersweet balance, which means they work perfectly for beer and food matching. So, we design our beers not for drinking in volume. We sell them in 330-ml bottles, which are smaller than a standard U.S. bottle, but it’s kind of a perfect volume if you’re having food or if you want to start or end an evening with a bottle of beer. CBB: Tell us about Scottish beer in general. How is it unique in the world? We understand you have a rich tradition of malty beers. Sutherland: Scotland has a wonderful climate for growing all kinds of grains, so we have really good malt and really good malted barely. We also have wheat and oats, but it’s a terrible climate for growing hops — we don’t have enough day length. Hops grow in very specific longitudes and latitudes, and we’re about 450 miles from that, so the varieties that grow here just aren’t commercial varieties. So, traditionally in Scotland, they really didn’t use a lot of hops because they had to be brought up from the south of England or the continent. So, Scottish ales like Innis & Gunn Original, our flagship beer, are really malt-focused. We add a lot more malts than other brewers to give us that malt sugar from the start instead of fermenting it all out. We like to retain that malt flavor in our beers. Needless to say, we brew a lot of beer with very high malts. We might use our Innis & Gunn pale ale malt that has been malted to our specifications. We might use a little crystal malts and some wheats just to give it a little creaminess on the foam. Many of our beers are Scottish style ales with just bittering hops, but as we spread our wings and experiment with different beer styles we’ve introduced some aroma hops too. @CraftBrewingBiz Looks like a cracking article if, Craig. Wise words from @IandGRachel. We’ll give this a share tomorrow!